No wonder summertime is the darling of the seasons. It’s warmer, it’s light later and it seems like it is decidedly more fun. For me, that means gardening until way past my bedtime, riding bikes, swimming and cooking out with friends. Frankly, sometimes it’s hard to squeeze in my chores. 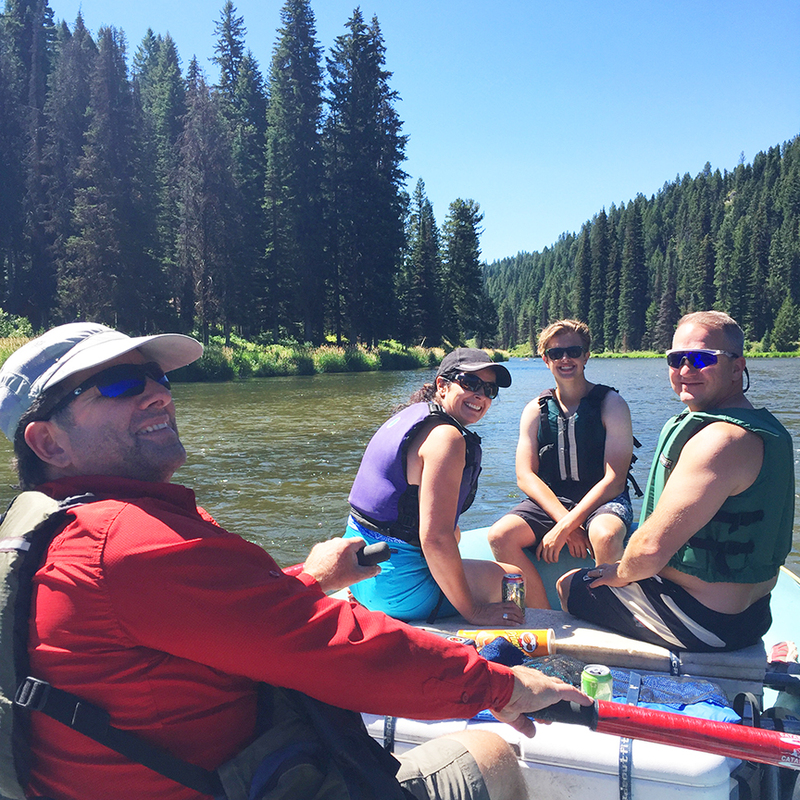 Last weekend, we had a last-minute invite to go whitewater rafting on the Cabarton section of the Payette River. It’s a beautiful, remote stretch with lots of flat water for swimming and enough rapids to keep things interesting. The only downside is that it’s a full day trip and our block was hosting a National Night Out cookout on Tuesday. Sunday was supposed to be the day I went grocery shopping and got organized for the festivities. There had to be a way for me to have my fun and be ready for the BBQ, too. 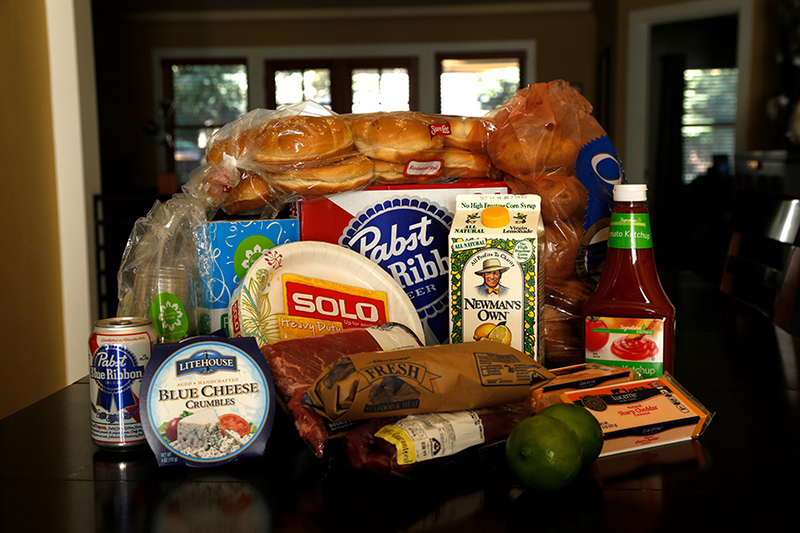 Enter Albertsons’ new Grocery Delivery. I jumped online Saturday night and started filling my shopping cart with everything I needed: beef, buns, cheese, makings for potato salad, paper goods and enough beverages to share. While I was at it, might as well as stock up on some staples for the week: cat food, furniture polish, almond milk, frozen yogurt and lemonade. I picked a delivery window for the next evening, paid with my credit card and went to round up my lifejacket and sunscreen. 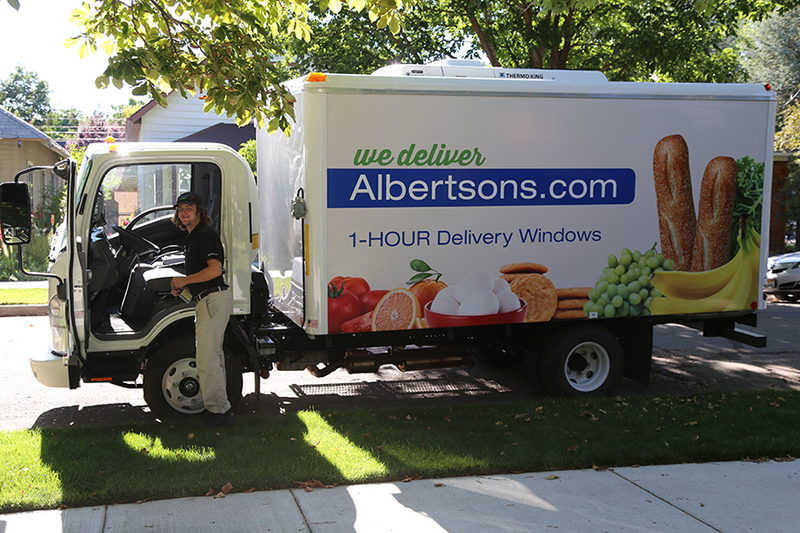 Shortly after we arrived home Sunday, the Albertsons home delivery truck pulled up and the driver, Garrett, jumped out and shouted a greeting. I was curious how all the orders were kept straight, not to mention in the appropriate temperature zones. The truck is divided into three compartments – dry goods, refrigerated and frozen – and items are in blue bins are each labeled with a delivery number. Garrett opened each section, pulled out my groceries and despite my offer to help, carried everything into the house and placed them on the kitchen counter. He went over the order with me, I signed the receipt and off he went. Total time spent: 10 minutes. Previously when I thought of home delivery, I figured it would be most helpful for elderly or disabled people that aren’t as mobile as they once were or don’t have regular transportation to and from the store, but I started considering who else could benefit from this service. • Busy parents who might often spend part of their evening at the grocery store could now be home making dinner or doing something fun with their kids. • Or, people traveling could now put in their order and schedule a delivery for their return home to restock the fridge while they unpack and start laundry. • And then, of course, there’s the people like me that can just think of more fun things to do than grocery shop. Ready to see how easy it can be for you? Use the code TRYIT at online checkout by August 31 to get $15 off your first order PLUS free delivery. Also, make sure to check out the tabs for promotions, on sale now and buy one, get one for more great deals. You can also use Albertsons Grocery Delivery app to order groceries any place, any time, and scan barcodes to quickly add items to your cart. Check it out on the App Store or Google Play. 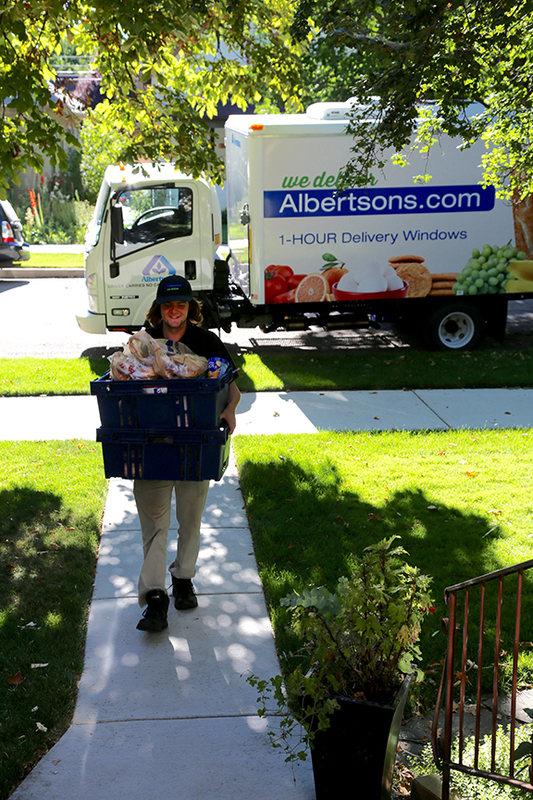 Albertsons Companies offers Grocery Delivery across several divisions. To find out if Grocery Delivery is available in your area, go online and enter your zip code. I love the convenience of grocery delivery! You are so right- summer beckons us to do All The Fun Stuff and get a hand with the chores! Super convenient for sure! Thanks for the comment Cheryl!